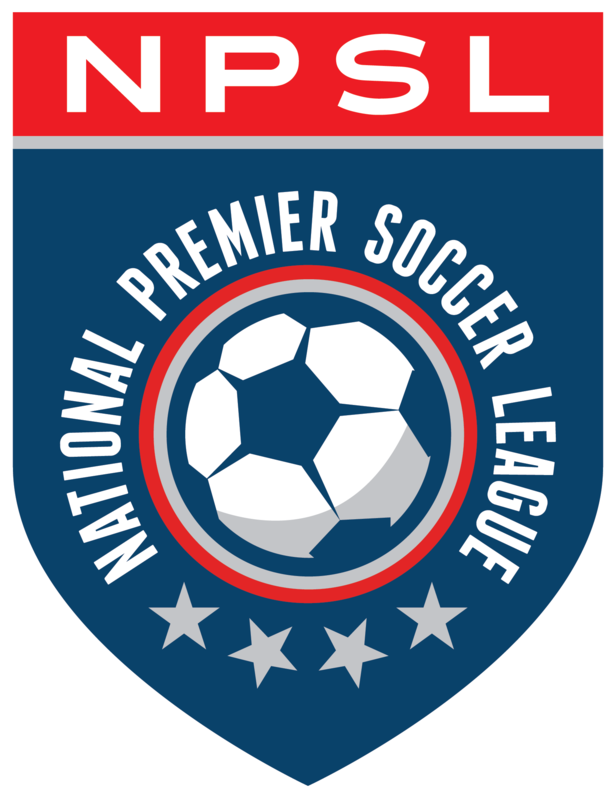 Wednesday was a good night for National Premier Soccer League (NPSL) clubs as 12 of the league’s teams made it through to the Second Round of the 2018 Lamar Hunt U.S. Open Cup. That was four more than the eight that made it just a year ago. The Second Round of the Open Cup begins on May 16, while the Third Round is scheduled for May 23. A goalkeeping error in the 82nd minute gave Elm City Express a dramatic, 2-1, victory over the Western Mass Pioneers on a sticky night in Ludlow, Mass. With the score even at one goal apiece, Elm City Express applied pressure in the attacking third and were rewarded when Shaquille Saunchez poked home a loose ball off the foot of the Western Mass Pioneers’ goalkeeper. The strike gave the visitors a win in their very first U.S. Open Cup match and set up a date with Seacoast United Phantoms in the Second Round next Wednesday. Anthony Asante tallied the victor’s opening goal in the 23rd minute. After making their debut in the 2017 edition of the U.S. Open Cup, FC Motown went one step further this time around, defeating New York Red Bulls U-23, 2-1, in New Jersey, to advance to the tournament’s Second Round. It was all NYRB U-23 in the opening minutes of the game with the PDL side finding the back of the net first in 19th minute courtesy of Brian Saramago. The goal seemed to wake up FC Motown, and the team responded well, putting NYRB on alert with an incredible 30-yard attempt in the 26th minute that looked like a sure thing but was thwarted by the crossbar. A few minutes later, Dilly Duka, a former New York Red Bull himself, flipped the score on his old team and tallied a brace in the 34th and 45th minutes for FC Motown to give his NPSL squad the win. Next, FC Motown will next play Penn FC (USL) on May 16 at 7 p.m. ET at Ranger Stadium (Drew University) in Madison, N.J. In a matchup of two U.S. Open Cup debutants, the Erie Commodores emerged with a penalty kick victory against Rochester River Dogz. Erie took the initial lead when Cameron Phillips struck in the 27th minute, but just before the stroke of half time, Austin Gerber got behind the Commodores defense and lifted his shot over the keeper to knot things at 1-1. The remainder of regulation and extra time played out in scoreless fashion so to PKs the teams went and it was Erie converting the majority of its chances to advance to a Second Round date with the Pittsburgh Riverhounds. In front of a great home crown, Detroit City FC survived a late push from Michigan Bucks and came out victorious in the penalty shootout, 5-4, following a 1-1 draw after 120 minutes of play. Detroit took the lead in the 57th minute through Shawn Lawson, but Alfonso Pineirho Neto found the equalizer for the Bucks late in the game before the end of regulation. Neither team found the back of the net in extra time, thus sending the game to penalties where a comeback performance Detroit booked its place in the Second Round. Next, Detroit takes on last year’s semifinalists FC Cincinnati (USL) on May 16 at Gettler Stadium in Cincinnati, Ohio. After a victory in its play-in game against The Villages SC, Jacksonville Armada put in a strong second half showing to overcome the SIMA Eagles. The squads traded shots in the first half but went into the break scoreless. Early in the second half, Joshua Castellanos broke the deadlock. Following a combination off a corner kick, Michael Melvin launched a ball into the box. It bounced off Camilo Portilla and fell to Castellanos, who swung it home past the goalkeeper to the left side. After gaining the lead, the Armada ratcheted up the pressure, and its tenacious press provided a chance to double the lead. As the Aguilas attempted to build out, Conor Doyle forced a turnover at the edge of SIMA’s defensive third. He took a few dribbles to the top of the box and launched a rocket inside the right post. Jacksonville will take on Florida foe Tampa Bay Rowdies (USL) for its Second Round fixture. From the first whistle to the last, Chuka Aruh could do no wrong. The Inter Nashville FC striker netted a first-half hat trick as his club steamrolled the Charlotte Eagles, 6-1. After opening the scoring in the fifth minute, Aruh struck again a minute later when he intercepted a pass in the final third and calmly slotted home his second of the night. Inter Nashville FC added three more before the Charlotte Eagles pulled one back on a 56th-minute penalty kick. An Ivan Sakou goal put the match to rest in the 85th minute, setting up a Nashville derby in the Second Round against Nashville SC of the USL. Miami FC 2 cruised to a 4-0 win against Red Force FC in Miami to advance to the Second Round of the 2018 U.S. Open Cup. Last year, as members of the NASL, Miami beat Atlanta United and Orlando SC of Major League Soccer (MLS) to reach the quarterfinals, and are surely hoping to have the same of success this time around. Miami opened its account in the 22nd minute as Tyler Ruthven crossed the ball into the box and Kris Tyrpak buried a header in the back of the net. Tyrpak would get his brace before the half with another header in the 45th minute. In the second half, Dyland Mares got the ball on a rebound in the 60th minute and sent a rocket past the goalkeeper. Finally, second half substitute Dario Suarez scored on a spectacular volley in the 87th minute for the final 4-0 score line. Next, it will be a Miami derby as Miami FC 2 face Miami United FC on May 16 at 7 p.m. ET at FIU Soccer Stadium in Miami, Fla.
Another Miami team rolled to victory tonight as Miami United FC defeated first-time Open Cup participants FC Kendall, 5-2, to advance to its third consecutive Second Round. FC Kendall got on the board first, but once Miami equalized via a penalty kick from Tomas Granitto in the 17th minute, it was all MUFC. Nicolas Gorobsov made it 2-1 in the 24th minute, and then it was the David Ochoa show. Ochoa scored a hat-trick in the game, which included a fantastic, SportsCenter worthy scorcher from about 33-yards out. In the second round on May 16, Miami United FC will be tested against Miami FC 2, who reached the quarterfinal stage last year. A scoreless game for most of the first half, FC Wichita finally broke through in the 36th minute with a strike from captain Leonardo Sosa. Sosa doubled the lead two minutes later to give his team the 2-0 advantage at the halftime mark. Not going down without a fight, OKC Energy U-23’s Josh Garcia made it 2-1 in the 78th to get his side back into the game, but FC Wichita’s Ben Andoh’s goal in the first minute of second half stoppage time reestablished the two-goal difference and sealed the 3-1 win for the NPSL squad. With the victory, FC Wichita will now take on Tulsa Roughnecks FC (USL) in the second round on May 16 at 7 p.m. CT at Hurricane Soccer & Track Stadium in Tulsa, Okla.
A seesaw affair ended in dramatic fashion as Duluth FC pulled out a wild victory over Dakota Fusion FC in PKs after regulation finished 4-4. The first strike of the game came less than 20 seconds in when Miah Willis bundled home a loose ball in front of net. Duluth FC responded by scoring the next three goals, each from a different player. A pair of Jade Johnson goals for Dakota Fusion FC in the 47th and 48th minutes returned things to even ground before Ricardo Ramos once again put Duluth FC on top. Jacob Weiler netted the game’s final strike in the 63rd minute as the next hour of play resulted in no movement on the scoreboard. However, the PK shootout lacked the goals of regulation and Duluth quickly won out 3-0. With the victory, Duluth FC will take on Saint Louis FC in the Second Round. After a quiet opening, a flurry of goals just before halftime punched Midland-Odessa Sockers FC’s ticket to the Second Round of the Open Cup. The Texas-based team came out on top against the Lakeland Tropics, 3-0. After a scoreless first 30 minutes, the Sockers earned a chance from the penalty spot, and Xavi Lao coolly hit it to the right side of the net to open the scoring. Soon after, Midland-Odessa lined up for a corner, and while the initial entry pass was cleared away, Peter Dominguez gathered the ball 35 yards out and launched a rocket over the mass in front of the net into the top left corner. The Sockers’ first half frenzy concluded minutes before the end of the opening frame as substitute Jhonathan Velasquez cemented the lead and final 3-0 scoreline. Midland-Odessa progresses to take on Lone Star State foe San Antonio FC of the USL in the Second Round. Daniel ten Bosch scored the first two Open Cup goals of his career as Orange County FC of the National Premier Soccer League (NPSL) ran away from their intra-county neighbors at Orange County Great Park Championship Stadium in Irvine, Calif. Ten Bosch scored on a long-range screamer in the 41 st minute to take a 1-0 lead. Brandon Gomez was stout in goal, Alessandro Canale added OCFC’s second goal midway through the second half and ten Bosch scored in the 80th minute to seal the victory for Orange County, which advances to play Fresno FC (USL) in the Second Round. NTX Rayadoes 2, Fort Worth Vaqueros 1 A.E.T. NTX Rayados of the North Texas Premier Soccer Association’s Division 1A hosted their first ever Open Cup match in the tournament proper as they welcomed Open Cup newcomers Fort Vaqueros across the Metroplex. The teams traded early goals and Fort Worth’s Marko Jovanovic denied a NTX penalty just before half to keep the match level. A feisty second half saw the score stay 1-1 and the game seemed headed to extra time. But five minutes from full time, Christian Okeke snagged the winner for Rayados, who held on for the 2-1 win. Rayados will host the OKC Energy in the Second Round. Soccer fans in the Bay Area weren’t expecting such a shakeup, but San Francisco City FC went across the Oakland Bay Bridge and outplayed CD Aguiluchos USA at Raimondi Park in Oakland, Calif. Aaron Lombardi scored on a penalty rebound first taken by Sean Bowman in the 44th minute before SF City FC stormed down and got another goal through Matthew Hurlow on a deflected free kick at the stroke of halftime. CD Aguiluchos USA applied some pressure in the second half, but a chipped goal by Jordan Hughes in the 80th minute and a curling free kick from Armand Bagramyan in the 90th minute sealed the win for San Francisco City FC, who now move on to the Second Round to play Sacramento Republic FC (USL). What’s old is new again as a group of former FC Arizona players came back to beat their old side as Sporting AZ FC grabbed a second-half goal and held on for a first-ever Open Cup victory. Sporting captain Jon Guse got the last touch on a loose ball in the box for a goal in the 73rd minute to send the crowd at John Riggs Stadium in Mesa (Ariz.) into a tizzy. FC Arizona had the better of the possession and chances in the first half but the game turned immediately after halftime as Sporting started pumping chance after chance into the attacking third. Andrew Weber, a former MLS Cup winner, made three saves and earned the shutout as Sporting move on to play Phoenix Rising FC (USL) in the Second Round. Goalkeeper Jordan Bell made a pair of saves in the penalty kick shootout to help lift Mississippi Brilla FC to a rousing victory over the New Orleans Jesters. After a scoreless first half, Brilla FC struck first in the 62nd minute on a 40-yard laser into the bottom corner off the foot of Ozzy Brock. Eight minutes later, the Jesters equalized as Thomas Peers found the back of the Mississippi net. A scoreless 30 minutes of extra time set up Bell’s heroics in penalties. Brilla FC move on to clash with Indy Eleven next week in the Second Round. Long Island Rough Riders 6, Kingston Stockade FC 3 A.E.T. The Long Island Rough Riders prevailed in what turned into an absolute goal fest in Massapequa Park, N.Y., winning out 6-3 after extra time against Kingston Stockade FC. In contrast to the rest of the game, the opening frame saw only one goal as the Stockade took an early 16th minute lead through Bruce Jeter. In the second half, play opened up and Kingston grabbed a second via Michael Creswick in the 52nd minute. Five minutes later, Tyler Botte clawed a goal back for Long Island, sparking the comeback. With 10 minutes left in regulation, Rough Riders captain Thomas Wharf bagged the equalizer and a second yellow to Kingston’s Bernardo Mattos made the extra time mountain mighty tall indeed for the visitors. However, it took till the second half of extra time for Long Island to make its advantage tell, but the Rough Riders whipped off three straight goals in six minutes to open up a 5-2 lead before capping the victory after Kingston converted a PK. Long Island will face Louisville City FC in the Second Round. In a match-up of New York-based behemoths, Lansdowne Bhoys FC emerged victorious over the Brooklyn Italians. Lansdowne entered the First Round contest as holders of both major national amateur titles, while the Italians stand as one of the most-decorated clubs in the Open Cup’s storied history. An early goal proved to be deciding for the Bhoys from Yonkers. As Brooklyn struggled to clear the ball after an early Lansdowne attacking run, the Bhoys’ Michael Holzer picked it up and after a few dribbles down the right wing, launched a booming cross to the other side of the field. There, Daryl Kavanagh’s first-timer swept by the Brooklyn goalkeeper. Just after halftime Lansdowne pressure forced a misplayed clearance from the Italians that resulted in an own goal. With the victory over its Empire State rival, the Bhoys head south for a Second Round showdown against the USL’s North Carolina FC in Cary, N.C.
Open Division qualifiers, Ocean City Nor’easters made the long trek from Ocean City, N.J. to Ypsilanti, Mich. and came away with a solid 3-0 win against NPSL club AFC Ann Arbor. The visitors claimed the opening goal in the 10th minute when Williams N’Dah headed home a free kick from Deri Corfe. Near the half hour mark, the Nor’easters doubled their advantage through Simone Raiola and Fredlin Mompremier bagged the capper in the 52nd as Ocean City went on to ride out the handful of remaining chances Ann Arbor could muster. The Nor’easters now move on for a Second Round road trip to Matthews, N.C. and a shot at pro side Charlotte Independence (USL). The Portland Timbers U-23, of the Premier Development League (PDL), got on top early and never took their foot off the gas in a 5-0 win against Kitsap Pumas of the National Premier Soccer League (NPSL) in their First Round game of the 2018 Lamar Hunt U.S. Open Cup. Things started rolling the right way for the Timbers U-23s early when Kitsap defender Kevin Francis was shown a straight red card for a rough tackle after only ten minutes. Two minutes after that, the home team were into the lead when Rey Ortiz-Flores swung his free-kick home from 20 yards out. Ten minutes before the half, the young Timbers made it 2-0. Ortiz-Flores carved out space wide on the right and crossed dangerously through the box, where the ball bounced off Kitsap defender Aria Shahmirzadi and nestled in the goal. The second-half picked up right where the first left off, with Portland flying into attack. Another good cross from Ortiz-Flores ended up in the back of the net shortly after the restart – this time it came off the foot of Kitsap defender Matt Eronemo to make it 3-0 to the home team before the 50th minute. Soon, it was 4-0 when Don Tchilao headed home a pin-point cross from Alan Cruz. With the clock ticking toward 90, Joel Walker finished off a fine three-pass build-up in midfield from 12 yards out to seal the result at a lopsided 5-0. The result sees Portland Timbers U23 into the Second Round, where they’ll take on full professionals Reno 1868 FC (USL).